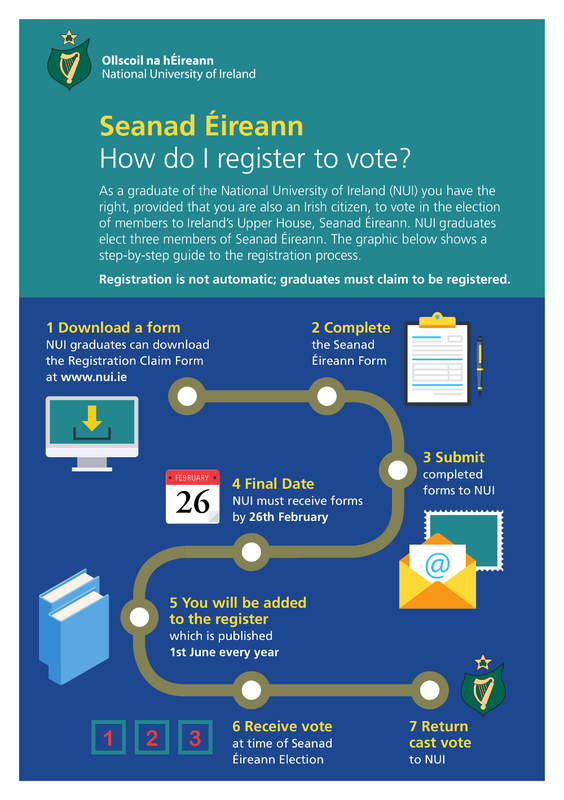 Graduates of the National University of Ireland who have received a degree (other than an honorary degree) who are Irish citizens are eligible to vote in Seanad Éireann elections, once they are included in the University electoral register. The 2018 revision of the register will be published on 1 June 2018. The deadline for registration to be included in the 2018 register is 26 February 2018. The form below may be used to register and should be completed in full and hand signed. The form can then be scanned and attached to an email and sent to records@nui.ie or posted to Records Office, National University of Ireland, 49 Merrion Square, Dublin 2 D02 V583. (NOTE: Any change in address should be notified to National University of Ireland; otherwise the ballot paper may be lost, and your name removed from the Electoral Register). Graduates who are already registered and who wish to inform NUI of any change of address may do so by email (records@nui.ie), by Fax (01- 439 24 77), by writing to: National University of Ireland, Records Office, 49 Merrion Square, Dublin 2 D02 V583 or by fully completing and returning the form above to, NUI. Changes can not be made over the telephone. 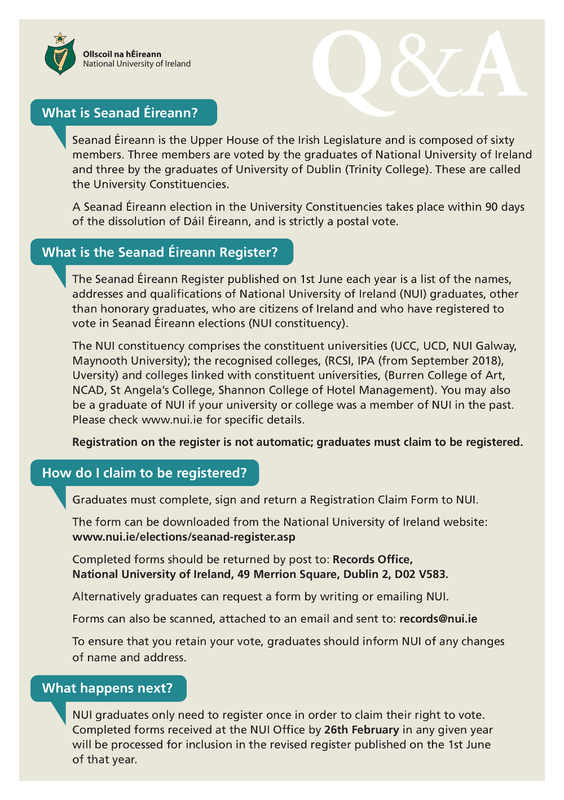 How do I check if i am listed on the NUI Seanad Éireann register? We will respond promptly to all enquiries.